This article is part of the Making it Better series, which details advanced enhancements and customizations to your server. Plesk Health Monitor can also be configured to send visual and e-mail notifications when certain server parameters exceed specified thresholds. 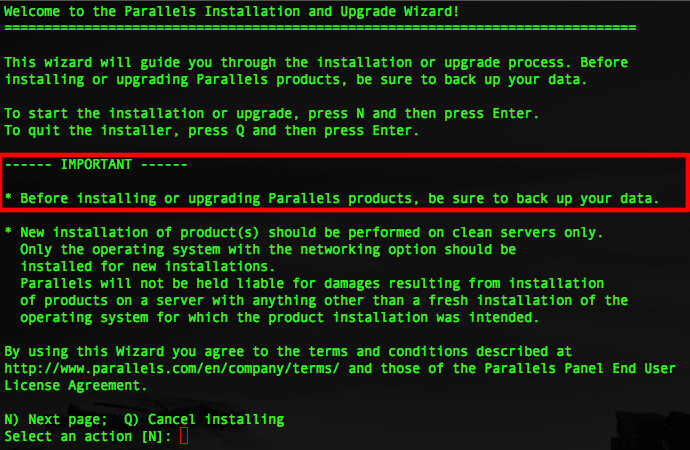 From the "Welcome to the Parallels Installation and Upgrade Wizard!" screen, hit the Enter key to continue. If you do not wish to install at this time, you can also select "Q" followed by the Enter key. Hit Enter to continue with the installation through the next three sections: the "Select product software source" screen, the "HTTP Proxy Setup" screen, and the "Select the desired products and their versions" screen. 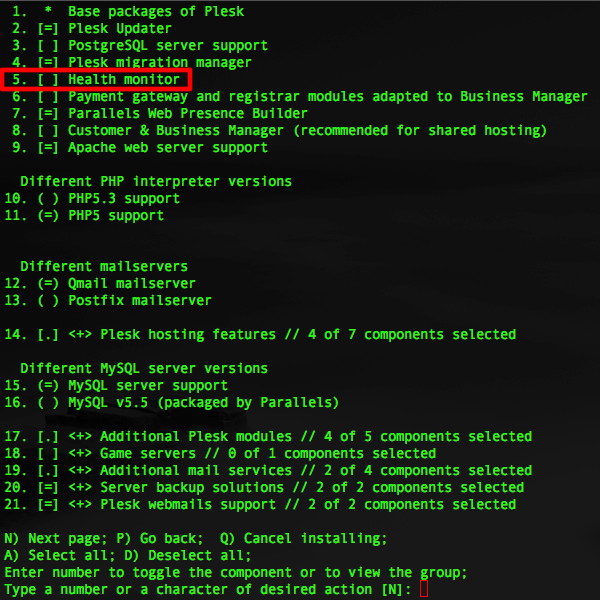 Select "Enter" to proceed at the " Main components list for Parallels Plesk Panel" screen. Log into the Plesk Control Panel to access the Plesk Health Monitor. Follow the on-screen prompts to complete the uninstall process.